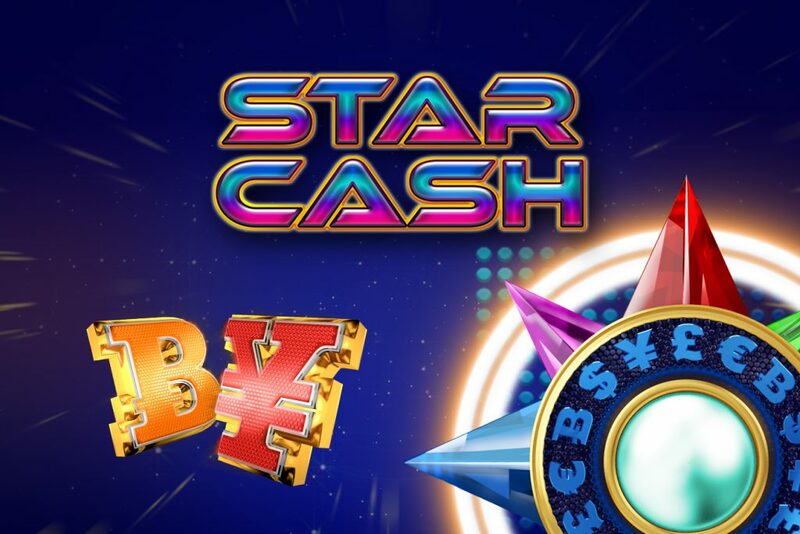 Play STAR CASH, a 5 reel – 10 pay line game where new riches are awaiting to be discovered! 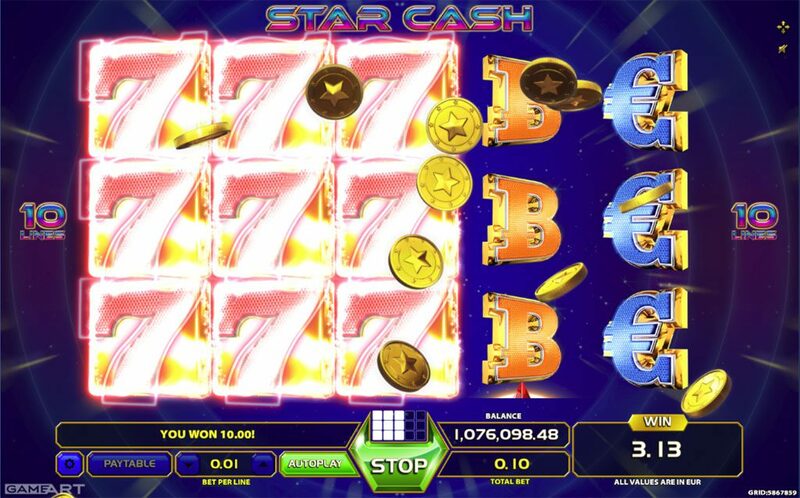 The pursue of the unknown will reward you with lots of stacked money symbols and the excitement of the WILD STAR symbol. The WILD STAR symbol is WILD and substitutes for all symbols. 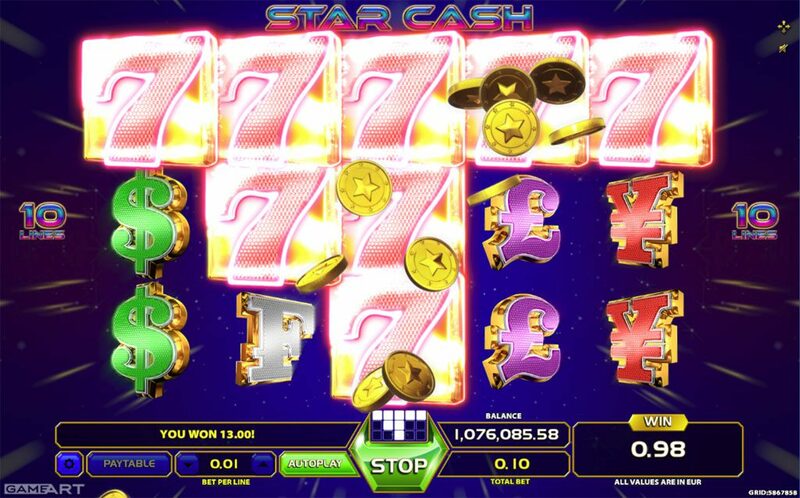 If the STAR lands on the reels 2, 3 or 4 it expands on the entire reel and triggers the RE-SPIN. 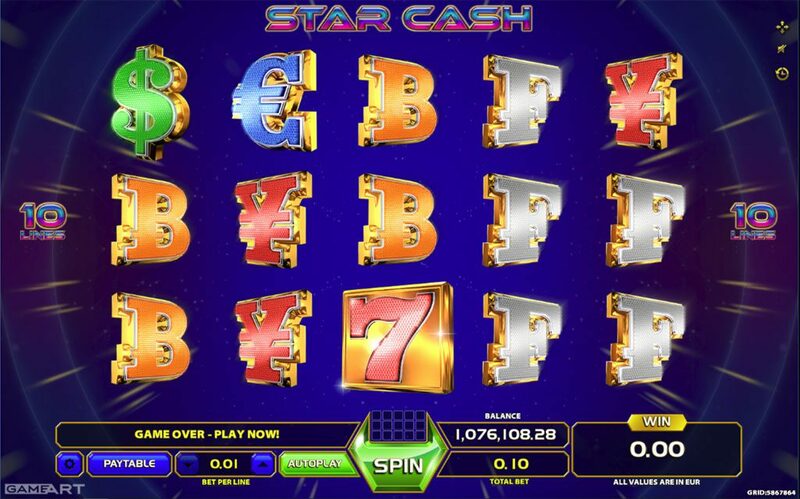 All reels containing STAR are held and all other reels are re-spinned once, up to a maximum of 3 re-spins. The game plays both ways; left to right and right to left.